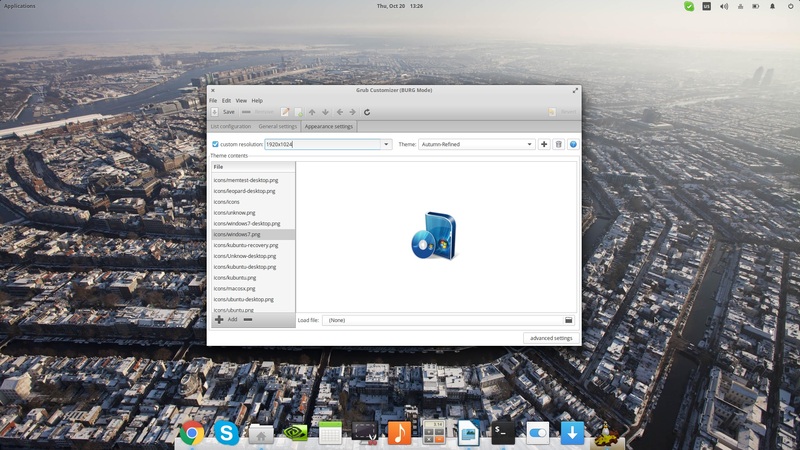 GNU GRUB has been the number one choice among the available system bootloaders for many years now, so replacing such a trusty piece of software for something else isn’t exactly common among Linux users. That is why I will suggest to replace it with a fork of GRUB that is called BURG. 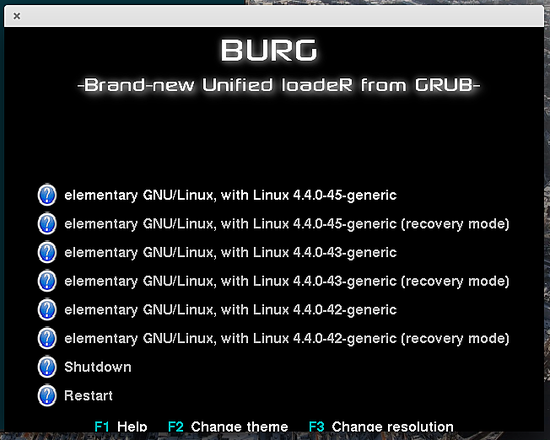 BURG is better than GRUB in basically one thing and that is better and easier configuration capacity. So, if you’re having complaints in this field from GRUB, read on. In this quick guide, I will showcase how to install and configure BURG in the latest Elementary which is based on the latest Ubuntu LTS version. While BURG is installed, you will be prompt to answer to some configuration questions like the one shown below. To select the drive where BURG will be located, use the arrow keys to change the highlighted option and then press space bar to choose it, followed by enter to confirm. After the installation is completed, enter “sudo update-burg” so that the software updates its system entry table and create the “burg.cfg”. After this, BURG will take over your booting screen. Before you rush on restarting though, enter the command “sudo burg-emu” that will let you emulate a boot screen and configure the loader as you please. As you can see, BURG offers the three latest kernel versions for the detected operating system, as well as “shutdown” and “restart” options. If you want to change BURGs resolution you may hit “F3” while the theme menu is offered with “F2”. If the themes that come with the “burg-themes” package aren’t exactly satisfying your taste, you can install the “grub-customizer” package to customize them, create your own, or add more. To add this package in your system, enter the following commands in the terminal and then run the application from the app menu. Upon launching the app, it should automatically detect BURG and offer you the option to configure this one instead. By selecting the “Appearance settings” tab, you can set your own background and add graphical elements from the icons list on the left. You can also download new themes like this one or this one and load them onto grub-customizer to customize them as you see fit. To simply add the themes on BURG and set them through the “grub-emu” command, open a file manager session as root and navigate to /boot/burg/themes/ and untar the file in the location. Just make sure that the “theme.txt” configuration file is named like that and it is in the upper folder structure level. 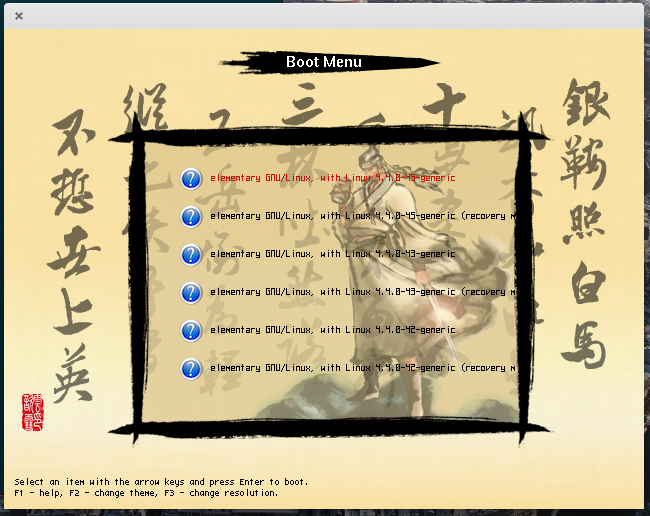 "Found Windows Boot Manager on /dev/[email protected]/EFI/Microsoft/Boot/bootmgfw.efi Windows Boot Manager is not yet supported by burg-mkconfig. " Well, that's the end of that experiment, then.